#Panchatantra 2.6. Just as sun and shade are inseparable, cause and effect are also linked to each other. #Panchatantra 4.3. If the very thought of a woman, brings ecstasy to a young man. How thrilled would he be? If he actually is in her presence. #Panchatantra 4.8. There is no true happiness in what you get without effort. Every living organism needs to stay connected to roots for its survival. I was born in New Delhi, therefore, it’s my Janmabhumi (Birthplace) and have lived/worked in Delhi NCR region all my life, so it is my Karmabhumi as well. But I am a Kumaoni by birth, only the second generation of urban settler and the first generation of those born & brought up in Urban Areas, specifically New Delhi, the capital city of India. For centuries my forefather stayed away from the cities and urban areas. Preferring the tranquil and peaceful Himalayan hills to settle down and live a very hard life in tough terrain in the North of India called Kumaon. That was till my father (Dayanand Sharma) decided to came down to Delhi to work and earn money – even now it is extremely hard to find employment or make money in the hilly areas. Those mountain villages where my fore-fathers lived are now a part of Almora District of the North Indian state of Uttarakhand. My ancestors from father side (Thangwals) were engaged in Agriculture in a small village called Dhameda on top of a hill. They cultivated Vegetables, grains and had fruit trees on the slope of the hills. My Grandfather from mother’s (Lakshmi Devi/Joshi) side was a Trader from nearby Deune village in the same Almora district. Place: Dhamera, PIN Code: 263660, District: Almora, Tehsil/ Taluka: Ranikhet, State: Uttarakhand, Latitude: 29.77975, Longitude: 79.3012. 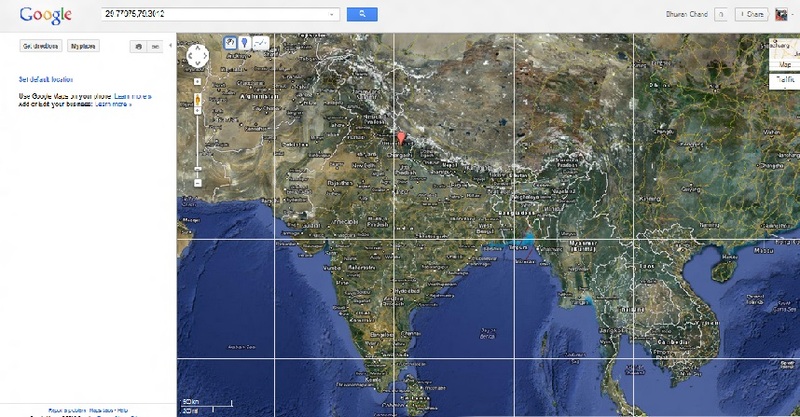 Due to the inaccessibility of the area from the plains of India, the region remained isolated for centuries. Which was not such a bad thing actually, considering all the mayhem rest of Indian cities and civilization was going through under the attacks from treasure hunters and looters from across the globe. Throughout all the invasions which happened in India for centuries, the invaders never really bothered too about us, poor Pahadi (mountain) people. Historic theories indicate migration from the plains of India to these isolated hills by the people persecuted by the invaders from outside. The Kumaon region consists of a large Himalayan tract, together with two submontane strips called the Terai and the Bhabhar. The submontane strips were up to 1850 an almost impenetrable forest, given up to wild animals; but after 1850 the numerous clearings attracted a large population from the hills, who cultivated the rich soil during the hot and cold seasons, returning to the hills in the rains. 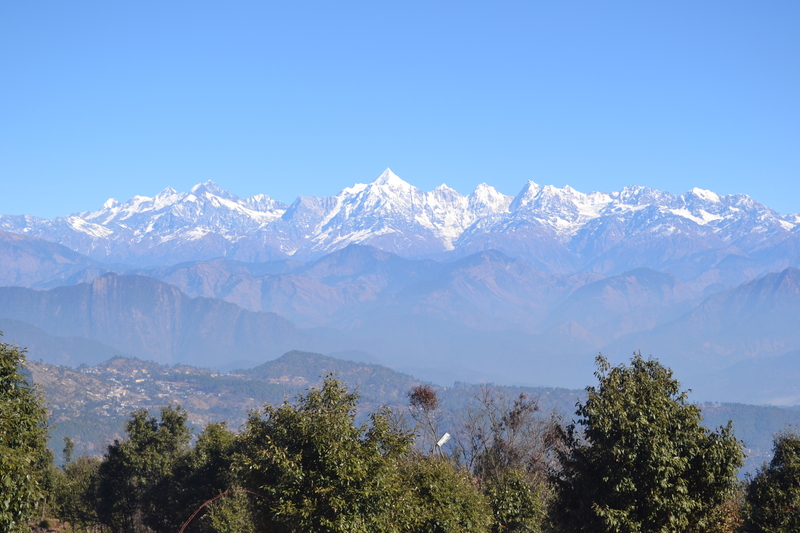 The rest of Kumaon is a maze of mountains, part of the Himalaya range, some of which are among the loftiest known. In a tract not more than 225 km in length and 65 km in breadth there are over thirty peaks rising to elevations exceeding 5500 m.
The rivers like Gori, Dhauli, and Kali rise chiefly in the southern slope of the Tibetan watershed north of the loftiest peaks, amongst which they make their way down valleys of rapid declivity and extraordinary depth. The principal are the Sharda (Kali), the Pindari and Kailganga, whose waters join the Alaknanda. The river Sharda (Kali) forms the international boundary between India and Nepal. The pilgrim route currently used to visit Kailash-Mansarovar, goes along this river and crosses into Tibet at Lipu Lekh pass. The chief trees are the Chir Pine, Himalayan Cypress, Pindrow Fir, alder, sal or iron-wood, and saindan. Limestone, sandstone, slate, gneiss and granite constitute the principal geological formations. Mines of iron, copper, gypsum, lead and asbestos exist; but they are not thoroughly worked. Except in the submontane strips and deep valleys the climate is mild. The rainfall of the outer Himalayan range, which is first struck by the monsoon, is double that of the central hills, in the average proportion of 2000 mm to 1000 mm. No winter passes without snow on the higher ridges, and in some years it is universal throughout the mountain tract. Frosts, especially in the valleys, are often severe. Kumaon includes the districts of Almora, Bageshwar, Champawat, Nainital, Pithoragarh, and Udham Singh Nagar. It is bounded on the north by Tibet, on the east by Nepal, on the south by the state of Uttar Pradesh, and on the west by the Garhwal region. The people of Kumaon are known as Kumaoni’s. Important towns of Kumaon are Haldwani, Nainital, Rudrapur, Almora, Pithoragarh, Mukteshwar and Ranikhet. Nainital is the administrative centre of Kumaon Division. 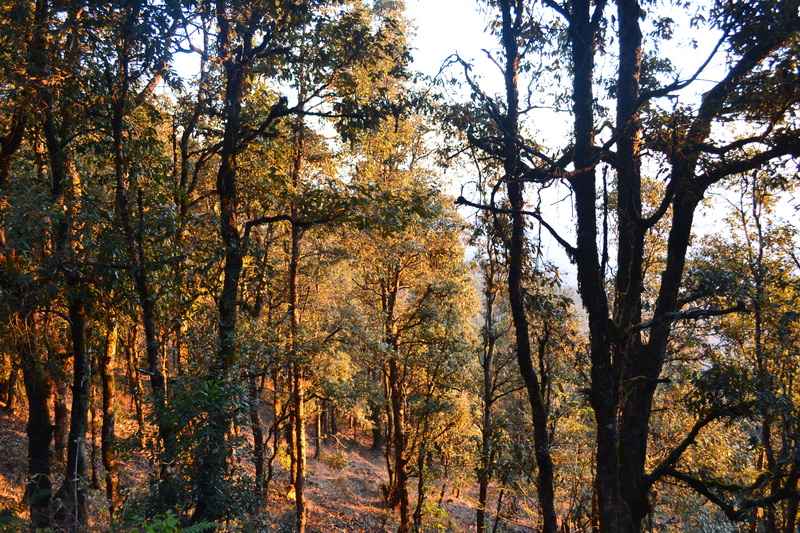 Kumaon Hills have their headquarters at Nainital.